Occasionally, late a night, I like to imagine what would have happened had Raymond Chandler successfully written the version of The Long Goodbye that he originally envisioned in the early 1950s. Although it is often forgotten now, Chandler did not set out to write another Philip Marlowe mystery. In fact, Philip Marlowe wasn’t going to appear in the book at all. Instead of employing his private investigator’s wise and laconic narration, the novel was going to be told in the third-person and it would have marked a significant shift in the way Chandler approached his work. In the end, however, Chandler found that he could not make the book work in the way he wanted, and so he started afresh, producing The Long Goodbye instead. Why could he not make it work? It was not like he hadn’t written in the third-person before. A number of Chandler’s early short stories were like this, but when it came to writing novels, he chose to make Marlowe’s voice central to everything he did. The effect was a powerful one and Philip Marlowe is a compelling, sympathetic hero, as anyone who has read the novels knows. But, above all, writing in the first-person allowed Chandler to reach the emotional register that he aspired to. 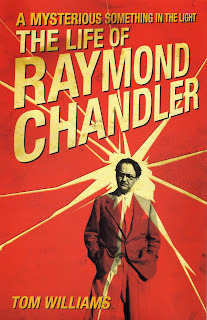 It let him engineer the detective he imagined, a detective who was more than just a tough guy; and though he was not the first to do it, Raymond Chandler wrote in such a way that his novels felt fresh and arresting. By 1951, Chandler’s career was in the ascendant. His novels were becoming increasingly popular, he had established a name for himself in Hollywood as a temperamental but often very skilled screenwriter, and his work, though rare, was in demand. Still, despite this Chandler felt frustrated with Marlowe. He was starting to wonder if he could move away from his narrator, and in The Little Sister (1949), thought that the detective had become an increasingly complex character. He worried that Marlowe was starting to look “pretty ridiculous as a small-time private detective ...” At the same time, he was fettered by the genre itself and, to alleviate some of his frustration, he considered ending The Little Sister without identifying the murderer at all. 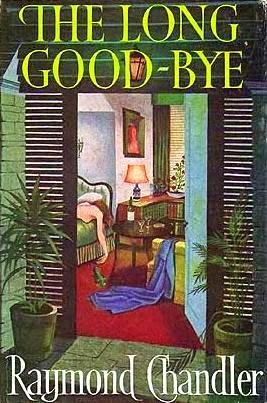 In the end, that idea came to nothing but it shows that Raymond Chandler was looking for ways to move beyond crime writing, and when he started to think about The Long Goodbye he imagined he was finally ready to take a risk. It is worth remembering, too, that Chandler had always had an ambition to do this. From the very start of his pulp-fiction career he had seen crime writing as a way to learn to write whilst still bringing in some money. That is not to say he didn’t enjoy the genre, but rather that, at the beginning, crime writing was going to be a springboard to something else. As early as 1939 (the year The Big Sleep was published) he was looking forward to a post-Philip Marlowe career, and he wrote in a notebook that he would only do a few more mysteries before writing a melodrama, to be set in England, called English Summer. But, as Chandler came to find, it wasn’t all that easy. Various pressures and distractions got in the way. There was Hollywood, there was his drinking, and, above all, there were his frequent worries about the health of his wife, Cissy. She was 18 years older than Chandler and her physical condition, which had always been troubling, was taking a turn for the worse in the late ’40s. Watching her become increasingly frail was devastating to Chandler. All of this combined to leave the author feeling exhausted and, the more tired he felt, the more frustrated he became with his work. It begins to look as though I were tied to this fellow for life. I simply can’t function without him. It was an admission of defeat in some ways, but not one that he came to regret. The Long Goodbye can’t be viewed as a failure. Just read it and you’ll see. It contains some of Chandler’s most powerful prose and his dissection of the relationship between the much-scarred Terry Lennox and Philip Marlowe is deeply moving. Philip Marlowe’s loneliness, the result of a series of moral decisions (no spoilers here! ), leave him bitter and isolated, and in this novel he is seen as an almost tragic hero. He tries to do what he thinks is right even if he leaves him less happy in the end. The novel’s ultimate success is something that could only come about because Chandler was striving to write a different type of book, and it is in the failing to do so that his secret lies. 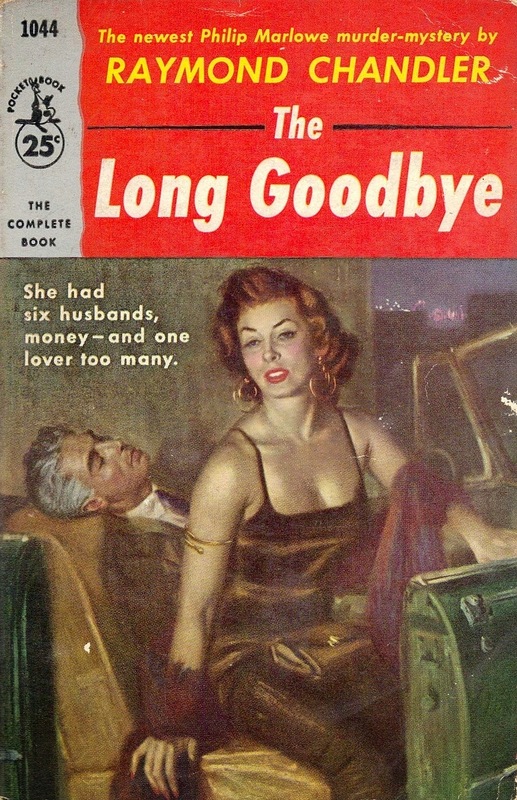 The Long Goodbye is hardly a murder mystery--the death that moves the plot forward happens off stage and Marlowe never even sees the body--and yet it has captured the imagination of millions of readers over the last 60 years. Why? Because Chandler wanted to write something that wasn’t bound by the rules of the mystery genre, but he found himself enmeshed in its rules anyway, because of Philip Marlowe. It is the way he managed to disentangle himself from the strictures of genre--without giving them up completely--that makes this novel so good. You don’t read The Long Goodbye to find out who committed the murder, but you keep reading for the language, for the characters, for connections you have with the narrator. This, ultimately, is the stuff of great writing and though Raymond Chandler would never write the novel he dreamed of for so long, his books will always be amongst the finest in the English language. READ MORE: “Writing The Long Goodbye,” by Mark Coggins; “Chandler’s Hard-boiled England: World War II, Imperialism, and Transatlantic Exchange,” by Will Norman (Post45).